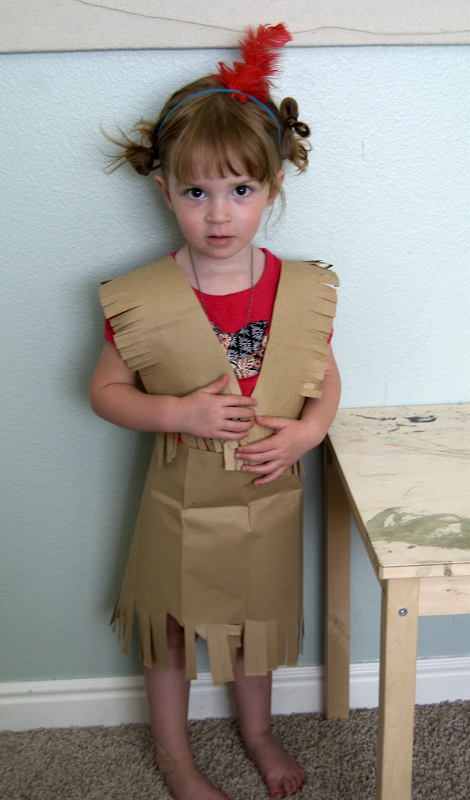 Today I've been working on a Tiger Lily costume for a Peter Pan party V is going to this evening. Although I am not quite finished I try to get quick photos in when I can, she is a busy girl! The last few nights I've also been helping my friend draw and paint a London mural skyline for the party, it really is going to be a lot of fun! We can't wait. Making this, got me thinking about doing another homemade costume for Halloween. I am normally a very last minute costume idea person, so I am wondering ... are you thinking about Halloween costumes yet? Do you make your own? She looks fantastic. I've never tried to make the kids' costumes but clearly I should. Have fun at your party! how cute is she! and it sounds like a super-fun party. can adults have peter pan parties, too? i'll have to think about that. it only makes sense though! my mind never stops thinking about halloween costumes. sadly, it always comes down to the last minute. You made that costume? And your doing a mural of the skyline? I smell talent! She looks so cute. A Peter Pan theme party complete with skyline mural sounds like fun! Yes, more times than not I make the childrens' costumes. They've been everything from princess dresses, to cowboy to poodle skirts and even an elvis cape. The kids and I start talking about it as soon as school starts. We love the freedom it gives. She looks adorable! That's a great idea. Plus she can roll around and play and it wont matter if she gets it dirty. My family used to host Halloween parties every year, and making costumes was such a big deal. One year we made Wizard robes for a Harry Potter themed party. We also made brooms, snitches, a Fat Lady framed picture, potion bottles, etc. We always started in the end of August. Now we've all gotten older and it's hard to get the family together for a party. i can't wait till halloween this year! last year my kids were little red riding hood (the older girl) and the big bad wolf (the little boy.) my mom helped me out by making the costumes. we talk about what to do for costumes all year long and it usually changes a lot. but this year we've pretty much decided that my six year old girl will be yoshimi (from the song "yoshimi battles the pink robots" by the flaming lips) and my little two year old boy will be a robot (although probably not pink. it's an obscure reference but i think it'll work! Brilliant! And, I love the Peter Pan theme - it's a favorite dress-up theme with my kids. Thank you for the inspiration. I love making halloween costumes. In fact I am always ready for any type of theme party. Most of my friends don't get an involved as I do. I plan parties just so i have an excuse to make a costume. She is so so so cute. And the costume looks great! She is so cute and so fun (no wonder Saxon loves her). Thanks for all of your help Rachel! You're the best! i'm the worst halloween costume planner ever. i never think about it until three hours before a halloween party, and mine always turn out lame. this party sounds so amazing. i hope you're planning on posting about it. I'm never very good at Halloween but I've gotten into it since I've had a baby. Red Riding Hood sounds like it might work for a 1 1/2 yr old! what a cute little costume! and that sweet little face...to die for! What a very cute costume. 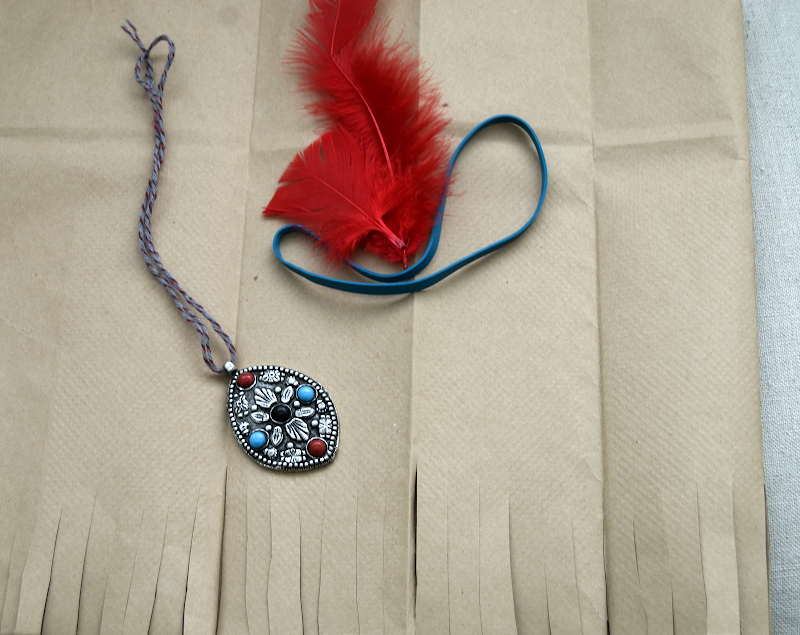 It is really beautifully made. Love it!!! it's very sweet but can she move in this? From what I can tell this is made from paper of the type that will rip as soon as she starts playing... sorry but couldn't help noticing this. What material did you use for the skirt & vest?